Since 2014, there has been a significant increase in the number of positive drug tests attributed to selective androgen receptor modulators (SARMs). SARMs have a high potential for misuse among athletes due to their anabolic properties offering less side effects typically associated with anabolic androgenic steroids (i.e. acne, gynocomastia). In many cases, athletes may be consuming SARMs unknowingly as a result of contaminated supplements. Originally developed as a novel approach to preventing muscle wasting in patients suffering from cancer or end-stage renal disease, SARMs have still not been approved for clinical use. SARMs are considered “unapproved drugs” because they are being studied in clinical trials, which is an important distinction because any substance classified as a drug cannot be approved as a “dietary ingredient” and used in dietary supplements. A quick online search for “SARMs” and any consumer will see that these substances are blatantly promoted and sold under the guise of supplements. In 2017 alone, the Food and Drug Administration (FDA) recalled a number of products illegally marketed and sold as supplements containing the common SARMs, ostarine and ligandrol. Beyond the legal implications, SARMs have been associated with liver toxicity and increased risk of heart attack and stroke. Long-term effects are largely unknown as SARMs have not been reviewed or approved for safety and effectiveness by the FDA. These substances also pose significant risks to athletes as they are prohibited under the “anabolic agents” drug class for all sport organizations. Between the 2014-15 and 2017-18 academic years, the NCAA alone saw a 410% increase in the number of SARM-positive drug tests. This dramatic increase is less likely due to athletes sourcing and consuming SARMs, but rather more likely they are consuming them through contaminated or adulterated supplements. Brian Ahrens, Director of the UCLA Olympic Analytical Laboratory affirms, “The levels of SARMs we are detecting in many positive drug testing cases are low enough that one can speculate the source of these substances coming from supplement contamination.” If this is true, we must consider the number of athletes who have not been drug tested that may have circulating levels of SARMs in their bodies due to supplementation. 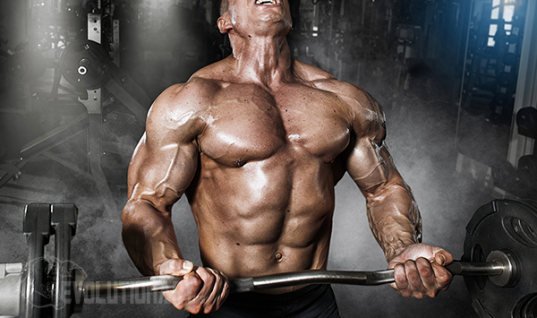 SARMs contamination may be due to properties that make them extremely resinous substances. Without proper manufacturing, sanitation, or raw material handling procedures, it can be very difficult to remove SARMs from production equipment. Reports have identified sources of contamination ranging from protein powders and testosterone boosters to salt tablets. If the raw material, sodium, is contaminated with SARMs, consider the number of supplements affected, as salt is a common additive for flavor enhancement. The increase in SARM-positive drug tests may be a trending result of the 2014 Designer Anabolic Steroid Control Act. The bill amended the Controlled Substances Act to include additional anabolic steroids for regulation by the Drug Enforcement Administration (DEA) in efforts to clean up the black market of designer steroid importation and sales. Unfortunately for consumers, the 2014 bill did not contain language for the inclusion of SARMs, and the body-building supplement industry thereby shifted their focus to the marketing and distribution of SARMs primarily through online sales. This past April, new legislation was introduced in the U.S. Senate for the SARMs Control Act of 2018. Similar to the 2014 bill, the aim is to further revise the Controlled Substances Act to defi ne and more effectively regulate SARMs. Educating athletes and keeping them safe from substances like SARMs is paramount to ensuring their eligibility to compete. An important step to minimize risk of supplement contamination with SARMs is to source only third-party tested and certified supplements (NSF Certified for Sport, Informed Sport, or Banned Substances Control Group) that test product contents for substances banned in sport. Secondly, ensure that athletes understand the risks and avoid marketing loopholes like “legal anabolic formula” or “advanced prohormone alternative”.